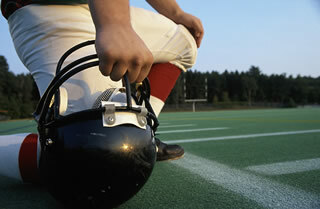 From adult tackle football to youth sports, we can assist you in stadium liability coverage. Katy Insurance Agency, Inc., has become a major “player” in providing Stadium Liability Insurance for “Semi-Pro”/Amateur/Minor League” adult tackle football teams and leagues. STADIUM INSURANCE DOES NOT APPLY TO "bodily injury" to any person while practicing for or participating in any sports or athletic contests or exhibition that you sponsor. In simple terms, injuries to players are not covered. This also includes, but not limited to, coaches, trainers, officials, cheerleaders or dance team. It only covers general liability for renting facilities. Or any events for kids, etc. EFFECTIVE NOVEMBER 13, 2018 the way CERTIFICATE OF INSURANCE FOR THE LEAGUE has changed. Involved with youth sports, camps or cheer camps? We can work with you in receiving a quote for your specific need. There are a whole different set of guidelines and insurance coverage needed when youth are involved. Need to make a Football Stadium Insurance Payment?